The new Egyptian constitution was unnecessary from the start, says Ragy Sulayman of the Free Egyptians Party (FEP). The 1971 constitution, with added amendments, would have served just fine. Sulayman is the founding lawyer who brought the liberal FEP into existence following the January 25 revolution. A member of the party’s political office, he also heads its legal and constitutional committees. Though the FEP declined participation in writing the constitution in protest of the lack of sufficient women and Coptic representation, they actively opposed the final draft. Rather than delving into the problems of content, Sulayman preferred to describe how the process was flawed from the beginning. The basic problem is that though nearly all segments of society agreed on the need for a new constitution following the success of the revolution, there was no unified justification for why. This lack of consensus would come to polarize the political scene, made worse by the initial decisions of the suddenly ruling military council. Once formed, however, the Constituent Assembly proved uncreative and unprepared to write a new constitution. First of all, they failed to conduct any social studies to determine the problems of the Egyptian people and take them into account. But second of all, the new draft largely patterned itself off the 1971 constitution, often using the exact same wording. The only significant divergence, which Sulayman admits as substantial, is the transformation from a presidential system of government to a parliamentary. Even the religious aspects of the constitution do not represent a radical change in parliamentary procedure. Watching the Muslim Brotherhood’s majority Freedom and Justice Party deal with recent legislation concerning Islamic bonds, it is clear they intended the Azhar to play only a consultative role when the Supreme Constitutional Court is brought a case. Sulayman agrees with this interpretation, actually, though the Azhar has insisted on prior review. But parliamentary procedures under the old system also called for sharia-compliant legislation, with a designated committee to seek the opinion of the Azhar on relevant draft laws. Even the controversial Article 219, defining the principles of sharia, does not significantly alter the system. This convinces Sulayman the increased religious language of the constitution was mainly a campaign tool – coupled with efforts to convince the population of a yes vote for ‘stability’ – to ratify the document by referendum. A rushed process hammered through a flawed constitution to a population misled by propaganda. 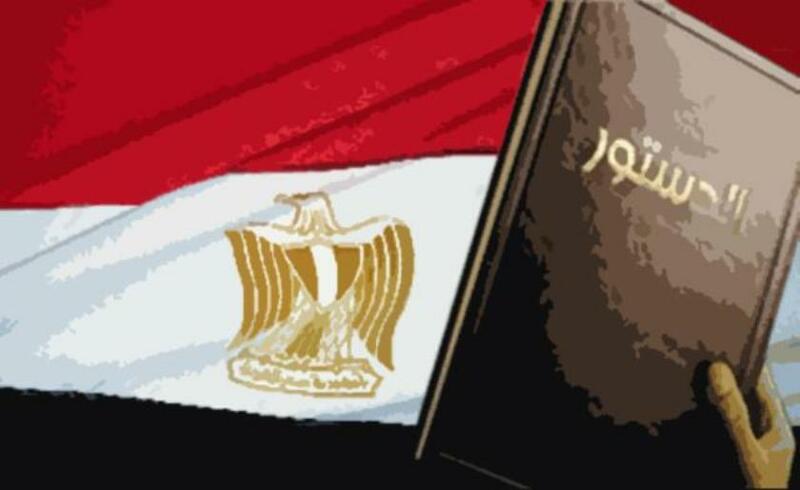 The Egyptian people were denied a chance to achieve a national charter worthy of their aspirations. Elsewhere Sulayman takes note of a significant divergence from the old system, in which a mixed presidential-parliamentary system replaces the former presidential. Overall his critique seems fair, but if the 1971 constitution would have been fine, why does he criticize the new draft patterning off of it? Especially if he approves (seemingly) of the new governing relationship between president and parliament? I suppose it is due to the hodge-podge nature in which everything was done, but please click here for the full article on Arab West Report and decide for yourself.